While it may not be the first way to see this country that comes to your mind, there is plenty of variety to be had on an easy driving 7 day Malaysia road trip. Expect plenty of beautiful scenery, quaint towns like Malacca and a special treat on the final night. All beginning and ending in the easy to get to metropolis of Kuala Lumpur . Our itinerary begins with the collection of our vehicle. 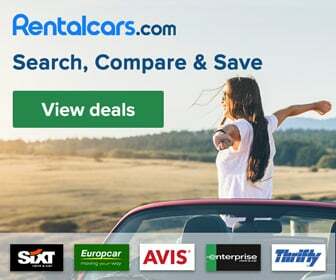 Our friends at RentalCars.com show a wide selection of options from a tiny US$200 for the week. Now let’s get this show on the road. Today you will head north for the short drive to the Genting Highlands, which means just over an hour of driving time and you will arrive in this lush rainforest area. A morning departure means you will now have plenty of time to experience the most popular and worthwhile of the region’s attractions. Don’t forget to stop in at the remarkable Batu Caves as you leave the city. It can be a challenge but make the effort to climb the steps and explore the Hindu Temples inside the cave high up in the mountain. The two best known attractions are conveniently located right next to each other so there is no need to be in and out of the car all day. We begin with the Awana Skyway, and while it only takes about 10 minutes to climb from ground level to the top of the mountain we will be stopping at the midway point in one direction. Half way along the ride you will disembark and spend some time exploring the Chin Swee Caves Temple. An amazing group of structures that took 18 years to build due to the difficult landscape and not being able to use any heavy machinery. While the Temple is the best known building of the group it is the 9 story Pagoda that will likely feature in most of your photos. Make sure to keep hold of your ticket as you are allowed to continue your journey to the summit. For accommodation you can move a little further along to the Resort World Genting area where you can use the Traveloka app and find a complex with a choice of Hotels ranging from ridiculously cheap to breathtakingly scenic. Or, if you want something totally unexpected, spend the night in France. Well, not exactly in France but you will not believe you are still in Malaysia. Colmar-Tropicale Resort is an entire village based on the colourful towns of the Alsace wine region in France. You could easily believe you are in Colmar itself or wandering the lanes of Riquewihr. Day two will have you leaving the Highlights and making your way to the east coast for a couple of days exploring the fishing villages and beach resorts around Kuantan. Expect to spend around three hours in the car today. It may be one of the longest driving days but there will be no shortage of scenery to take your mind off worrying about the time. Arriving in Kuantan you will find yourself in a place that could be worlds away from the place you left just a few hours earlier. There is certainly enough of interest around this State Capital to allow you to do plenty over the next couple of days, or sit on one of the beaches and do nothing. The choice is yours. Some of the most interesting places in the region are the charming fishing village of Beserah where you can observe the daily life of villagers and the yawning caverns of Gua Charas. For the seafood lover Beserah will be like a dream come true. Sit in one of the many seafood restaurants and take in the sight of Beserah fishermen herding water buffaloes with carts onto the beach to assist them in pulling in their catch for the day. Alternatively Gua Charas is a limestone cave best known for the ‘sleeping Buddha’ stone sculpture in it. With numerous other natural limestone formations that resemble religious and animal figures, the temple is a popular spot for devotees who wish to pay homage to different deities. Another place worth visiting is Lao Zi Temple, home to the reputedly ‘longest manmade dragon’. Start out your winding journey to the temple going in through its ‘tail’ and coming out at the temple when you exit its ‘mouth’. Devotees believe that good luck comes to those who make the 2,700-foot pilgrimage through the dragon. And lets not forget Kuantan has some of the most fantastic beaches along the east coast; draped in fine white sand, buffeted by gentle waves and lit by a bright tropical sun. On top of that, there are plenty of water sports available and if you go further to the islands, scuba diving and snorkelling. Accommodation ranges from cheap and cheerful to high end beach resorts. So it’s really just a matter of working out your budget, deciding what type of view you want, and enjoying your east coast stay. Coast to coast today as we head west on our way to the quaint town of Malacca. A fantastic spot for the next couple of days but 4 hours in the car and not a whole lot of interesting things along the way unfortunately. The good news is that when you arrive in the afternoon you will find a UNESCO Heritage listed town with a rich history and plenty of Portuguese influence. A major trading port in the 15th Century Malacca started losing its influence as Singapore become more powerful. This has worked out nicely for the city as very little modernisation has taking place leaving it full of charm and character. One of the major drawcards of Malacca is the buzzing Jonker Street Night Markets which is a fun place to spend the evening and the place to be for lovers of Malaysian street food. Foodies should also take the opportunity to sample pastries from the many bakeries and in particular the Portuguese tarts which are famous in these parts. Another thing not to miss is an evening cruise on the river with the lights of the city presenting a beautiful outlook. You should spend two nights in Malacca for the simple reason that it is a place that deserves to be explored slowly and on foot. Plus it is always nice to have a day out from behind the steering wheel after a big day of driving. There are hundreds of places to stay in Malacca like one of the 5 star luxury options, Hotel Seri Malaysia Melaka, or maybe a Homestay for something a bit outside the box. I promised you a treat for your final night on this road trip and what better option could there be than the unique experience of staying in an overwater bungalow? It’s not every day the chance comes up, especially at the prices you will find at Port Dickson. A leisurely and scenic drive today as we head north along the west coast for what should comfortably be under two hours in the car. While the main reason to include Port Dickson in the itinerary is the chance to spend a night sleeping on the water, there are some historically significant sites to visit and some very decent beaches in the area. There is a 16th-century lighthouse or visit Fort Kempas, with its 14th or 15th century sacred Islamic tomb and several megaliths. Plenty to do to fill in the afternoon. And now for the accommodation options: sure you could pick another budget friendly hotel but if ever, this is the time to tick the Overwater thing off your list. How many other places will you find highly rates, large villas for under $200 per night? After spending as much time as possible in your villa this morning it is time for the final drive of your road trip. Today you have just over an hour in the car on the way back to KL or to the airport for your departure. All up the trip is just on 700km (450 miles) which is a comfortable distance for a one week road trip and gives you a good introduction to the diversity of this amazing country. Make sure to add a few days at the start or end of your road trip to explore Kuala Lumpur. It’s quite different from most other Asian capitals as it feels quite green and open, and the markets and food is amazing. One final tip… pick up and drop off your vehicle on the outskirts of KL as traffic in the city can be challenging to say the least. Do you have any suggestions to improve this itinerary, or have you done something similar? Malaysia is amazing Blaine. So much more to it than this itinerary. You won’t be disappointed when you finally get there. Thank you for showcasing my beautiful home country! I haven’t even been to some of the places in your post even I live in KL. Gotta explore more of my home country! KL is my favourite Asian capital city Allison, and the only one I will return to one day. I am looking forward to seeing Colmar-Tropicale and really want to visit Melacca.